The Nike Air 180 has been my favourite of the Air Max line ever since first discovering it. It has always stood out to me, representing something quite different from styles like the BW or the 93 that came before and after. 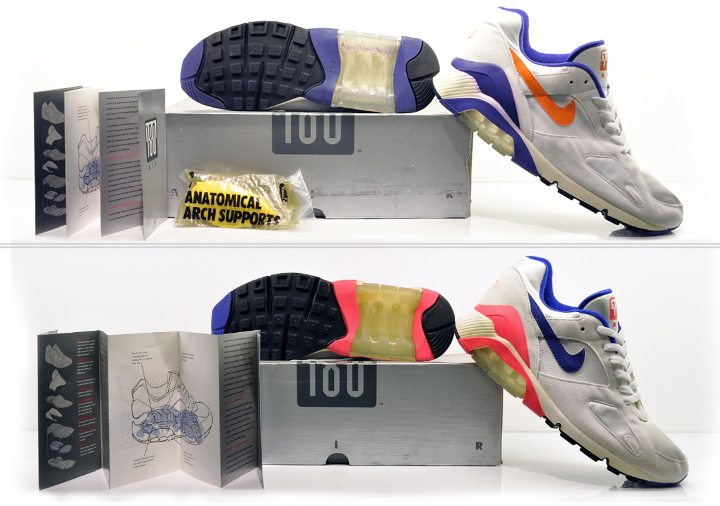 For those that came here for the history, the Air 180 gets its name from the “50% larger” air unit that is visible throughout a 180 degrees of rotation, meaning a partially transparent outsole. 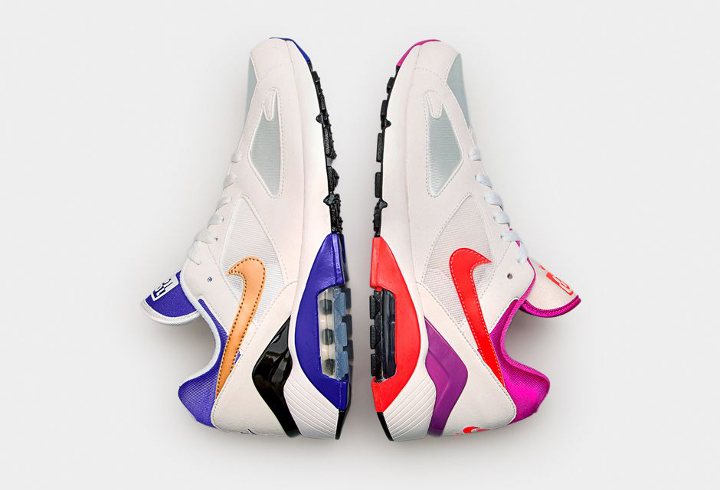 While the 180’s upper was mostly a varying shade of white, the shoe was also known for the vibrant pops of colour that usually surrounded the visible air, as well as the heel counter and tongue branding. The classic, David Cronenberg directed, Alien-style TV commercial sums up the 180’s other-worldly properties and hints that my love for The Fly might have had a hand in my fascination with this shoe. 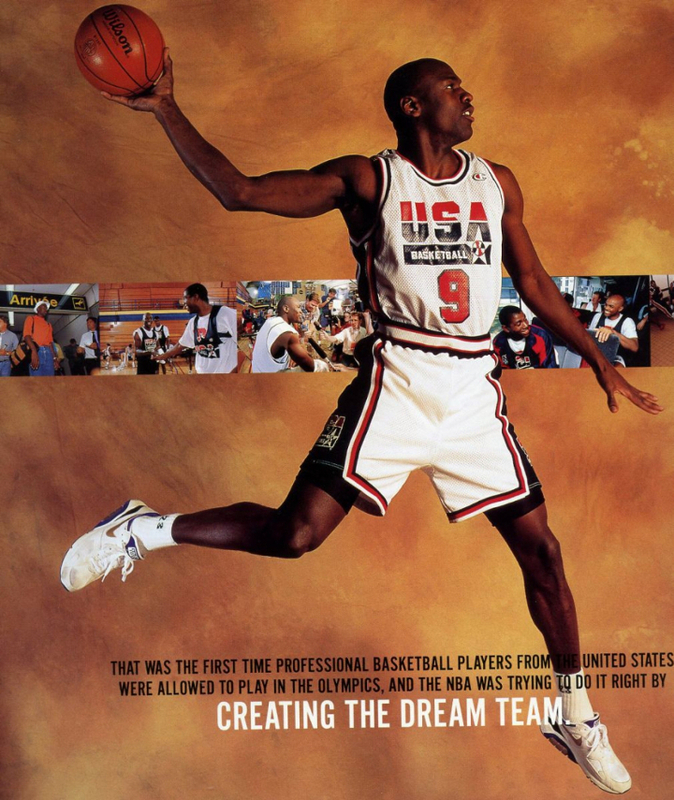 Perhaps the most important time in history for the 180 was when the ‘Concord’ model was selected by none other than Michael Jordan during his time in the 1992 US Olympic ‘Dream Team’ in Barcelona. This 1991 commercial shows that the 180 was just as at home on the running track as it was on the basketball court, tennis court and baseball diamond. The 180’s air unit would also become part of the Air Force 180 and towering Air Force 180 High basketball shoes, but it’s the runner that’s always done it for me. The most recognised version of the shoe is undoubtedly the OG Ultramarine colourway which marries the clean white upper with pink and blue elements in what is a perfect representation of the styling that the 180 is known for. The 180 also recognised as one of Kanye West’s favourites, and played a part in his introduction to Nike. You could say that without it, there would be no Yeezy, no Red Octobers… so I guess it’s a pretty important piece of Nike history. I’ve always been intrigued by the lack of ‘MAX’ in the Air 180’s name, despite it usually being considered one of the Air Max series’ greats. Perhaps the strong symbolism of the 180 name was deemed enough, adding Max to that would be overkill, and so the ‘Air 180′ it was. I was a late-bloomer when it came to the 180, not really discovering it until the 2009 OG retro. The black/cyber and ‘Miami Dolphins’ colourways that followed in 2010 cemented my love for the shoe, and it’s remained a firm favourite ever since. Best Air 180s of all time? There’s no doubt that the Ultramarine OG rules the roost, but the Concord make up is a close second for me. Other special release versions like the pastel-coloured ‘Easter’ edition from 2006 and Kanye West’s College Dropout samples have their place too though for sure. 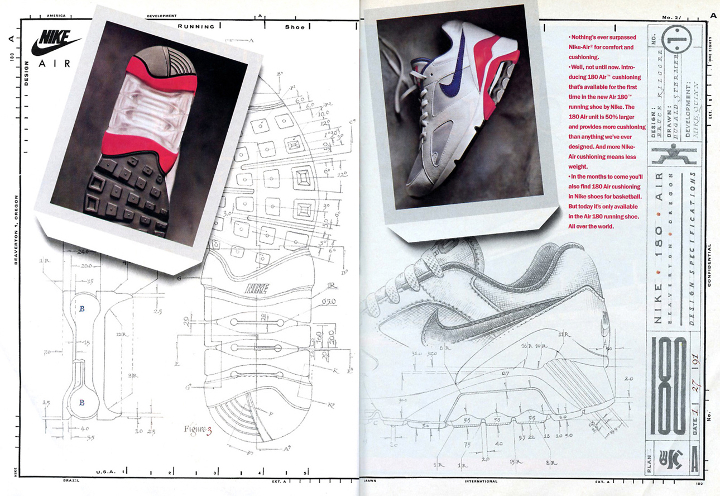 Of all I think it’s the 90’s styling that’s allowed the 180 to hold its rank as my top rendition of Air. The stark contrast between the beaming white upper and the bold colour accents screams nineties nostalgia, and that’s something I’ll always come back to. That is of course forgetting the sheer excellence of that wedge of an air unit, and overlooking the comfort factor completely. The 180 is without doubt one of the most comfortable Air Max styles I’ve ever worn, boosted by the lightweight sole that comes from the significant dose of air. The Nike Air 180 remains a regular part of Nike’s Air Max line-up today and every year I anticipate the Summer months for the chance to put my 180s back into regular rotation.